Audrey joined the Temple Sinai professional staff in July of 2014. Before coming to Temple Sinai, she was the Jewish Federation of Greater Middlesex County's Director of Women's Philanthropy and previously served as the Executive Director of Temple Beth Ahm Yisrael in Springfield. Audrey is a Past President and active member of her synagogue; Congregation Neve Shalom in Metuchen. She and her husband Joel live in Edison. They have four children and two grandchildren; Lindsay, son-in-law Josh and Mason; Mathew, daughter-in-law Morgan and Samara. Temple Sinai's Director of Education since 2002. 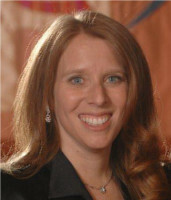 Patti joined Temple Sinai in 2002 following 3 years as Principal of the Solomon Schechter Day School in Cranford. Prior to that, Patti was the Educational Director of Temple Beth Shalom in Manalapan, NJ (1979-1996), programming for 520 students. Ms. Kahn returned to school in 1996 to earn her Masters of Jewish Education ('98) at the Jewish Theological Seminary in NYC after which Patti studied for a year in Jerusalem as part of the Senior Educators Program of the Melton Centre for Jewish Education at the Hebrew University. Patti has two sons and a granddaughter; Joshua lives in Brooklyn and Laurence, who is married to Michal, lives in Israel with their daughter Shachar. Temple Sinai's Director of our Early Childhood Education Program since 2012. Amy joined the Temple Sinai staff in 2012 to design their new early childhood school program and to expand programs designed to build community for local families with young children. Her previous experience includes serving as a lead teacher and Judaic Specialist in early childhood and as a consulting psychologist, researcher and trainer for the Early Head Start Program. In addition to her role at Temple Sinai, Amy is also the VP of Communications on the national board of Early Childhood Educators of Reform Judaism (ECE-RJ), the Union for Reform Judaism's early childhood affiliate. Amy earned a B.A. from the University of Pennsylvania and a Ph.D. in Psychology with a concentration in Developmental Psychology from New York University; her dissertation research focused on toddler play development and parent-child play interactions. Amy and her husband, Craig, live in Springfield, NJ with their older son, Devin. Their younger son, Joshua, visits on his breaks from Penn State University. Samantha is so proud to be Temple Sinai's Director of Youth Engagement. Her responsibilities in our community include programming and youth group for grades 4-12, and also overseeing our High School program (grades 8-12). Samantha was born and raised in the Philadelphia area. While in high school, she went to Gratz College for the Isaac Mayer Wise Reform Teaching Certification program. From there, Samantha developed a love and passion for Jewish education, programming, and general synagogue functions. She received a BA from the University of Hartford with a double major in Judaic Studies and Sociology and a minor in History. After graduating from college, Samantha made her way to Edison with her husband (who is native to the area), and has continued to serve in several different roles among the New Jersey Jewish communities. Samantha is always eager and excited to get to know everyone who comes through our doors (especially kids and teens! ), and work in among the community. When Samantha is not at the Temple, you can catch her at home with her husband and two dogs, or at camp (in the summer! ).